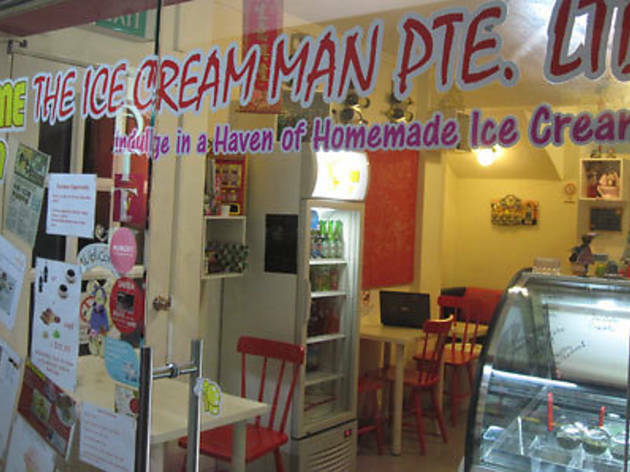 At this two-year-old shophouse-turned-ice cream parlour on indie strip Haji Lane, The Ice Crème Man is not just one man – it’s a couple who are very passionate about the cold desserts they churn out day after day. Styled after the Italian gelato, they use more milk and less cream, ensuring the purity of the flavour. There are always 12 on display – popular ones include durian and chocolate – and at least twice a week, you can expect surprises. If you promise to order at least a double scoop, the owners will make a customised flavour just for you (call two days in advance or drop them a message on their Facebook page. The flavour that put The Ice Crème Man on the map was Red Bull Sorbet; the owners were wondering why first-time customers were coming in and asking specifically for that flavour, until they searched it on the internet and found that people were blogging about it. Other in-demand flavours are peanut butter, Bandung Rose, and Chicken in a Biscuit – the latter a popular snack among those who grew up here in the ’70s and ’80s. They have also done beer-themed flavours: Heineken, Tiger and Carlsberg (Tiger was the nicest, perhaps because it had a stronger aftertaste). The Kikkoman flavour, according to the owners, was ‘surprisingly good – the taste was something in between caramel and cheese’. The uncertainty as to which flavours will be available on any given day – and the fact that the owners refuse to use artificial colours or flavours – have earned The Ice Crème Man a steady following. 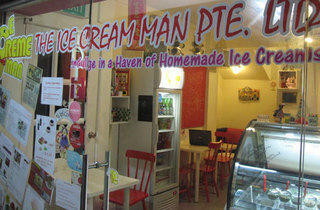 We suggest you order your own customised ice cream soon.